View cart “Basil: Urban Fold Cross Body” has been added to your cart. 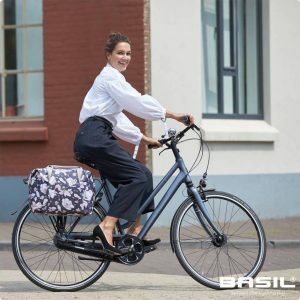 The Basil Bicycle Pannier Magnolia Shopper is a stylish choice of bicycle storage. 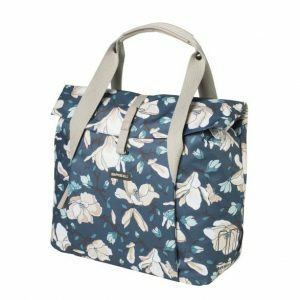 In perfect blue, this bag has a generous capacity of 18 litres and can be easily worn over your shoulders or grabbed by the handle when you’re not using it on the move. Planning a picnic? This bag is the perfect way to cart all your essentials from A to B. It also makes a handy companion to commutes into work, trips to the grocery store and more. Furthermore, attaching it to your bike frame is a breeze thanks to the simple hook-on system. 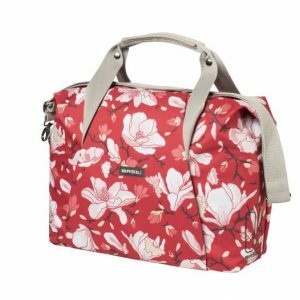 This shopper is made from durable polyester that’s also water-repellent, ensuring it keeps your contents dry should you happen upon rain. Several smaller compartments provide extra storage for odds and ends. There’s also the option to add LED lights to this bag, giving you enhanced visibility in the dark and ensuring you stay within sight of other road users. Interested in more eye-catching accessories? Browse the complete Magnolia range and more exciting collections online at Basil today. 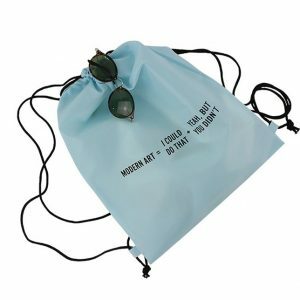 The perfect travel or beach bag combined with the perfect message, from the always so right with words Craig Damrauer. Drawstring, lightweight and durable, a wonderful addition to the Modern Art collection. 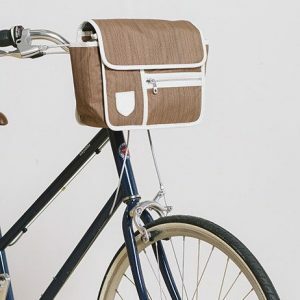 Available in a range of vibrant colours, this retro style bicycle handlebar bag is made from quality water resistant nylon with highly durable PVC binding trim and pinstripe lining. The wide opening top lid reveals large interior space and a padded slip pocket. 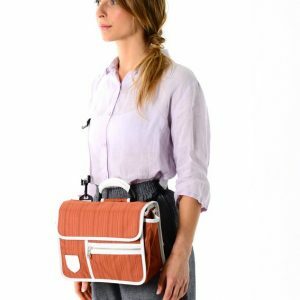 The multi-functional webbing strap allows the bag to be fixed around the handlebars of a wide range of bicycles and quickly and easily transforms into a shoulder bag by unclipping the adjustable length strap. 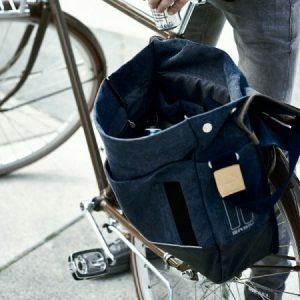 It can also be attached to the rack of a bicycle and used as a pannier bag. 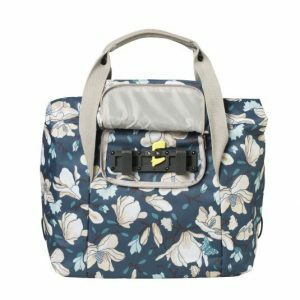 Wide side pockets allow easy access for bottles or umbrellas whilst under-flap zip and slip pockets allow space for safer storage. The boxy shape ensures that your content stays neat and organised at all times. What makes this bag different: its colourful, playful and multifunctional.